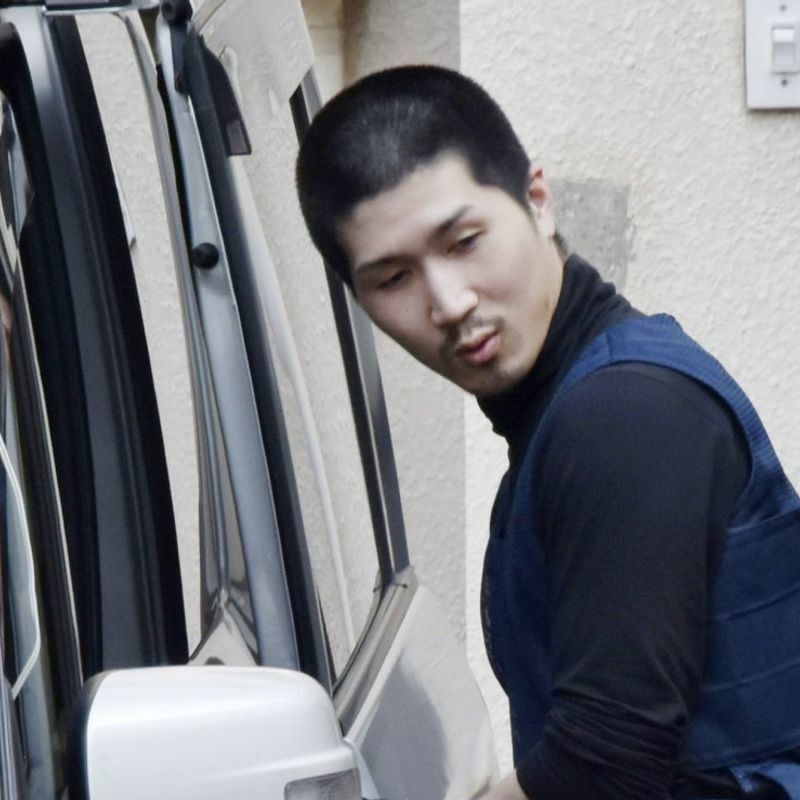 HIROSHIMA - An escaped inmate managed to elude a massive manhunt conducted by police for over three weeks on an island in Hiroshima Prefecture by hiding in the attic of a vacation home, investigative sources said Tuesday. Tatsuma Hirao, 27, fled last month from a minimum security prison in Imabari, Ehime Prefecture, and was caught in Hiroshima on Monday, ending a search that involved a total of 15,500 personnel. Hirao said he hid in the vacant house on Mukaishima island, a part of the city of Onomichi, eluding detection by officers of both the Hiroshima and Ehime police who had targeted the building in their search. He went unnoticed as the police failed to check the attic, the sources said. The mountainous island has over 1,000 empty houses. The police found a note in the vacation home, believed to have been left by Hirao, which said he was bullied by a prison guard. Hirao reportedly told the police after his arrest that he escaped after becoming "disgusted with relationships" at the prison. Hirao was sent to prosecutors on Tuesday in connection with his escape. The sources said Hirao told the police he swam across the sea from Mukaishima to Japan's main island of Honshu and stole a bike to head west, then took a train bound for Hiroshima. While security was tight at police checkpoints on Mukaishima, some pointed out that it was possible to swim to the other shore as the narrowest point between the two islands is only 200 meters. The current is usually strong in the area, but locals said it weakened from late April 24 to the early hours of the following day. Hirao escaped on April 8 from Matsuyama Prison's Oi shipyard, a rare open-type prison facility in Imabari, Ehime Prefecture, where he was serving time until January 2020 for crimes including theft. He is suspected of staying at vacant homes and cottages in the northern area of Mukaishima and eating food left in the buildings. The area has many vacation homes with running water and electricity. On Monday, Hirao entered an internet cafe in Hiroshima's Minami Ward using another person's identification that carried no photo, and stayed for about three hours, during which he showered. An employee of the internet cafe tipped off the police after he paid and left. 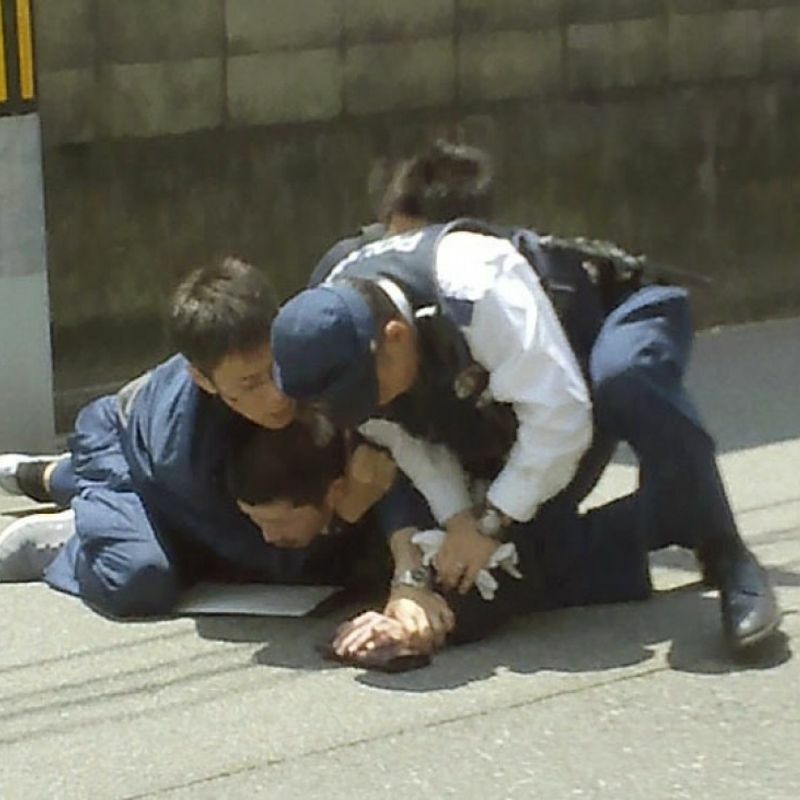 He fled and tried to escape by climbing over the wall of an elementary school along a street but was wrestled to the ground by police officers. Justice Minister Yoko Kamikawa apologized to the public at a press conference in Tokyo for the worry caused to local residents and others. She is scheduled to visit Mukaishima and other related sites for two days through Wednesday.